Bomaderry Motor Inn offers 22 ground floor units, some with cooking facilities, making it ideal accommodation for families or long term stays. With a mixture of single, twin share, family rooms and apartments they are sure to have a room to suit your needs. 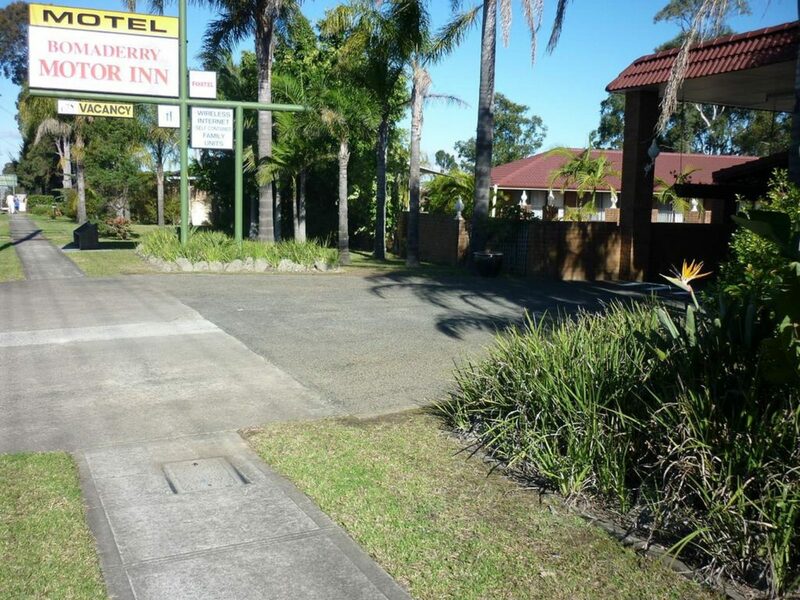 Clean, comfortable and friendly and only minutes from the Nowra central business district and many of Shoalhaven’s top tourist spots, Bomaderry Motor Inn is the ideal place to stay for business or fun. The Two Bedroom Apartment accommodates up to four people. 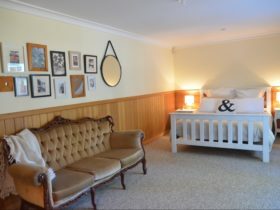 There are two bedrooms, each with their own queen bed, television and en suite bathroom. 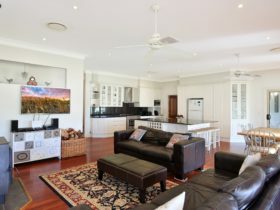 There is a fully equipped kitchen, lounge and dining area with another television. Ideal for couples or families wanting to share, but also have privacy. 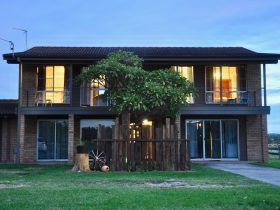 There is a queen size bed and a full kitchen in the main room, LCD television with free Austar and reverse cycle air-conditioning. There is a second bedroom with a queen size bed and its own television. En suite bathroom. 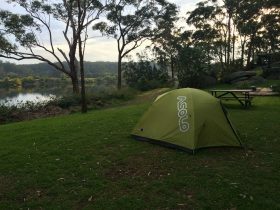 One queen size bed and one single bed; reverse cycle air-conditioner; LCD television with Austar; tea and coffee making facilities with a toaster; en suite shower and toilet. The Family Room accommodates up to four people. The configuration of beds is one queen bed and a small kitchenette with a microwave oven, kettle, toaster, glassware, crockery and cutlery in the main part of the unit and two single beds in a separate bedroom. Each bedroom has its own television with free Austar. 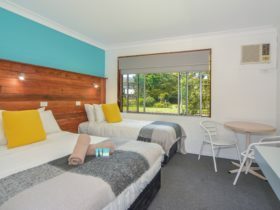 Spacious room with queen size bed, reverse cycle air-conditioning, tea and coffee making facilities, LCD television with free Austar and en suite bathroom with separate toilet. Maximum two people. 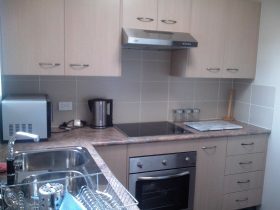 The apartment has a full kitchen with dining and lounge area with LCD television and DVD player. Reverse cycle air-conditioner. En suite shower and toilet. Bedroom with queen size bed at the rear of the unit. Maximum two people.